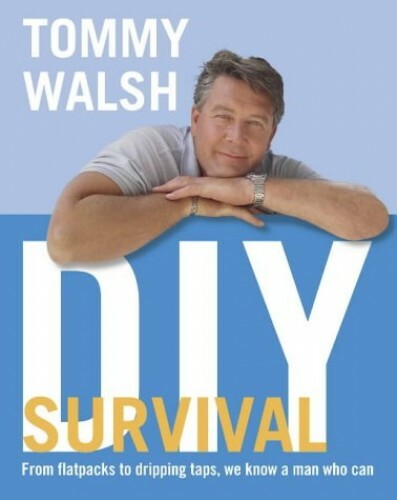 Whether you want to fix a plug or hang some shelves, cure a dripping tap or assemble those drawers, Tommy's guide provides the knowledge, advice and good humour you need. Packed with tips, this book should help those who want to get the house straight but simply don't know how. Whether you want to fix a plug or hang some shelves, cure a dripping tap or assemble those drawers, Tommy's guide provides the knowledge, advice and good humour you need. Packed with tips, this book should help those who want to get the house straight but simply don't know how - and are maybe just too embarrassed to ask! This text provides a comprehensive, step-by-step guide to completing many of the most basic DIY tasks around the home. Simple repairs that are easy to perform with only the minimum of DIY knowledge and confidence - all supplied with Tommy's unfailing good humour. The book includes: a guide to the tools and equipment needed to carry out most simple tasks, together with practical advice on how to use them safely and effectively; notes on the basic checks everybody should make around the home, including locating stopcocks, checking pipes are lagged and familiarizing yourself with the boiler; and a range of basic tasks for fixing and/or improving areas around the home.